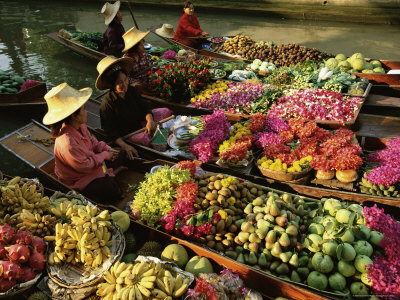 Imagine a floating market in Thailand – a sea of colorful flower baskets bobbing up and down in the river. The melange of fragrances is both exotic and nasally hypnotic. The bustle of cordial market trade surrounds the smiling faces, and you get a warm feeling in your stomach that people have a capacity for effortless beauty. All is good in the world. I imagine the architect of Oropesa had this feeling inside when he set about designing the artificial wonderland here – the self styled city of holidaying. The translation is mine, and befits the slight sense of lost in translation that seems to hang throughout the resort. So when the architect looked up in his dictionary the translation for sea of smiling faces against a fragrant and beautiful backdrop, his phrase book spat out towering condo complexes. The orthogonal projection of the French, Russian and Spanish occupants onto the rock strewn shore yields instead a grimacing beach population, and leaves the streets smelling of raw sewage. The sand is nice enough, below the throng of patterned umbrellas, jostling to provide shade. But as you try to drive your shade brolly into it, you realize that just below the surface is a layer of pebbles. That about sums up Oropesa – it looks nice enough until you try to scratch the surface and find anything in which to ground yourself. It photographs well. A more seasoned beach town veteran might claim that it lacked soul, whatever that is. And the analogy breaks down if you start talking about digging towards your soul – unless you think that trepanning might be the answer to a hollow existence. The theme parks are somewhat Asda’s own brand – something that I don´t say lightly. It doesn´t have to be Michael the Mouse for me – but for some the resort specific mascots would seem terrifying (surely the whole place was designed for a hellacious acid trip designed to propel you back into a life of grey normalcy and a nine to five job) and for some they would be lead-painted Chinese import characters. Either way, the giant jester terrifies my number one son, and the unconscionably loud music at the kid´s dancing spot makes my number one daughter screw up her face and run screaming with her hands over her ears. I am thankful that the personification of the one-eyed squid man hasn´t attempted to sell us any late night balloons. No, not that kind of late night balloon – the ones for kids. The food then does not disappoint. As long as you like it fried and underwhelming. The sandwich-slinging cafes have bypassed my preconceived notions of tapas and assorted fish or meat type products, and been launched into chip heaven. Even my kids have given up on chips. Our apartment is 2 minutes walk from the supermarket which has an unpretentious cafe attached where if you are going to go with a potato omelette sandwich, you could pay much more elsewhere without besting the quality. Castellon is only 45 minutes away by car and is quite pleasant. Alcocagbre is less than 30 minutes. My american family actually yearn for the English food at the Cheers bar there. Surely that´s indictment enough of Oropesa. We leave tomorrow.